The education sector has seen some fairly motivating trends emerging over the last year. These trends are the beginning and not the end of changes which are vitally important to the industry developing into something that can truly deliver quality education in a sustainable manner to a large volume of aspirants. It seeks to extend institutional ties in numerous ways; in areas of collaborative research, study abroad programs, faculty exchanges and seminars for higher education administrators for both the institutions. The number and importance of educational associations is rapidly increasing. More and more institutions are placing strong emphasis on the collaboration with other institutions. These collaborations help to establish fruitful relationships between universities. And this has been a major goal for many academic institutions. Technology is one of the catalysts. Tech is expensive but also progressively important. 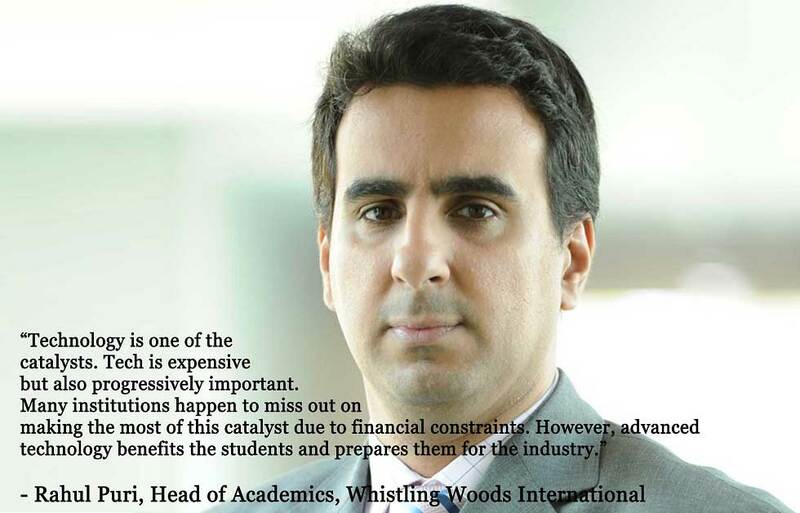 Many institutions happen to miss out on making the most of this catalyst due to financial constraints. However, advanced technology benefits the students and prepares them for the industry. Whistling Woods in association with YouTube launched a YouTube space at the campus which will help empower India's next generation of digital creators and WWI students to learn, connect, and create new content, by giving them access to fantastic studios and cutting edge audio, visual, and editing equipment. More than any particular technological development, improving the way technologies and innovations are shared and scaled throughout the sector has the potential to basically change the way colleges and universities help both students and society. Widely shared innovation can yield new levels of efficiency and productivity to make higher education more affordable and, therefore, more reachable. At the same time, deeper collaboration can encourage institutions to put their goals in a broader national context. Effective association between universities and community colleges has always been an important yet challenging issue for institutes of higher education. Such collaborations have become particularly crucial in recent years due to the significant change in the demographics of post-secondary students. Recent years have witnessed a change in the nature and career objectives of post-secondary students that has led to significantly higher numbers of non-traditional students and first generation college students. As a result, more students prefer to use community colleges as transitional institutes between high schools and four year colleges. Hence, close relationships and strong partnerships between universities and community colleges are critical to the achievement and to the missions of both types of institutes. The coming year will see a rise in such associations as universities and colleges are recognizing this gap. Developing a successful model for collaborative invention leading to new concepts is thus the most sorely needed disruption in higher education. Collaboration spurs innovation because bringing together groups of people who have different ideas, approaches, experiences, and areas of expertise creates a fertile environment for generating new concepts and methods. Sharing insights allows ideas to be refined and improved. Charging a group with developing a promising idea incentivizes the group, not just a single individual to commit to its success and paves the way for trusted collaboration.